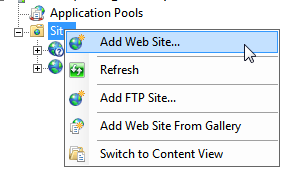 The Host Name is the new url address for your site . It”ll work through port 80 , as defined at the picture. You can enter another port , if you wish. Port 443 is a default port for https ssl enabled , secured with certificates traffic . Add –> You can add more redirects with different names and ports. Now you’ve connected the Local Terminal with the Server Binding . and you’ll go to http://WebDDD . 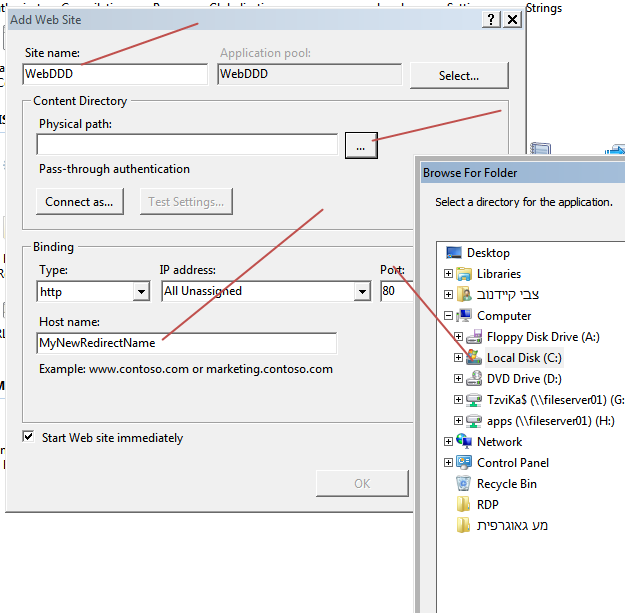 If you are working with Server you should define the DNS in your Active Directory also..